This is the fourth in a series of posts serializing the Music Library Management ebook. Having album artwork makes a music library look a whole lot prettier, and it actually helps for navigation too. It's much easier to recognise an album by its artwork than its name. If you want artwork, you need to work out how you will find the art and then install it into your music library. The latter is dependent on the different ways that artwork is stored. There are three main ways in which album artwork is stored in a music library. Ranging from the least flexible and recommended to the most portable, these are: relying on your music player; storing a separate co-located image file; and embedding artwork. Relying on your music player is the first way you might encounter album artwork. Popular music players such as iTunes and Windows Media Player both provide features to download artwork for you. Normally this is semi-automated, so it's just one click away. Using your music player is a good start (some art is better than none) but often they don't have artwork for your more obscure tracks, or tracks by artists who refuse to sign a deal with the artwork provider your music player uses. 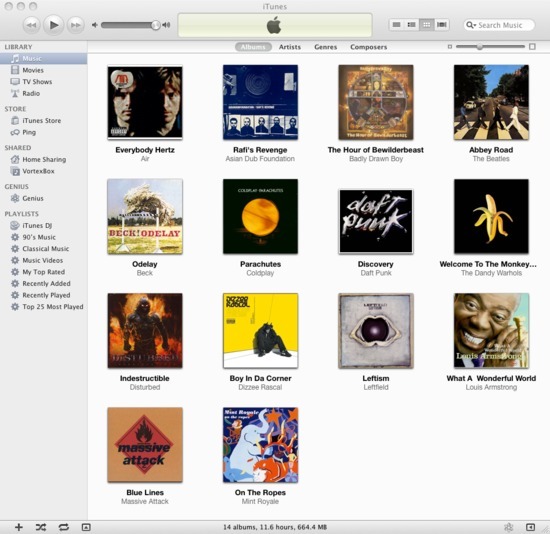 For instance, iTunes will only fetch artwork for tracks stored in the iTunes Store. Furthermore, you need to register for the Store, providing some credit card details. However, arguably the biggest reason you shouldn't use your music player is that normally this artwork is stored only within the music player, not your music library in general. This means if you transfer the music elsewhere, or point another music player at the same library, you don't get the art. This shortcoming is avoided by storing the artwork within your music library. There are two main ways of doing this. The first is to store artwork as image files, co-located with the releases they represent. The other way is to embed the artwork into the music files themselves. Co-located image files are known as such because the image file is stored in the same folder as the music files which make up a given release or album. The image file is commonly called 'folder' or 'cover' and has a standard image extension, '.jpg' or '.png' or any other image format. Different music players support different naming schemes, but, generally, calling the files 'folder' is best supported. Embedding images inside music files is probably the most flexible way to go. Using this approach, the image is stored alongside the music file tags, discussed in the previous section. The big advantage here is that wherever the music files go, so too does the artwork without having to copy separate image files. 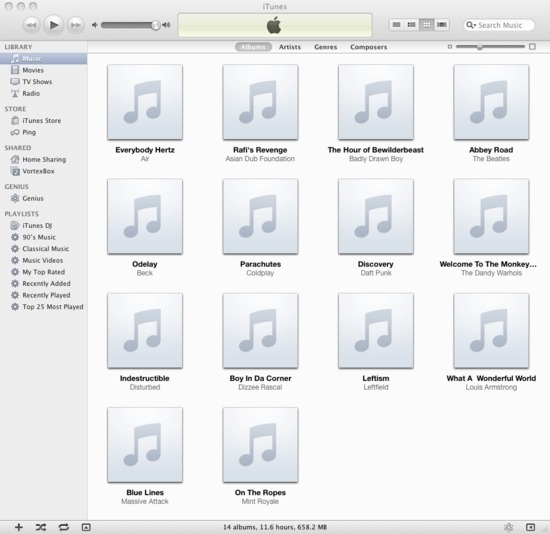 The disadvantage is that it is a less efficient use of storage space; the same artwork is repeated in each music file. Given the relatively small size of album artwork and today's low (and getting ever lower) storage prices, this is normally not a problem. That said, older and more simplistic music players do not support embedded art. The best overall approach therefore is normally to save co-located art and embed it. If you only plan on using one music player, then you can normally use your music player's artwork grabbing feature assuming it exists. However, it might not exist, and furthermore not all album artwork will be found by it. The next step is to use a music tagger, as described in the music tagger section above, or use one of the special purpose automated fetchers of cover art. You can use a tagger like MP3Tag, described above in the Tagging section. There are two main disadvantages to doing it this way, however. First, the finding of album art may not be automated, so you may have to do it yourself. If we are talking just a few albums, this is fine. But if you are adding album artwork for a whole library of potentially hundreds of albums this will take a long time. Using Google Image search (http://www.google.com/images) can help speed this up. Google Images is useful because its coverage is vast (as Google 'spiders' the Web it also records the images used in Web pages) and you can also easily tweak your query to bring back different images. Go to http://www.google.com/images and enter a simple query of "album name artist name", for example: "beggars banquet rolling stones". You'll receive a vast number of images, including front covers, back covers and more. On rarer recordings you'll have to tweak the query, for instance with classical recordings where there are multiple releases for the same work you will want to include performer or publisher names in the query. Other locations to check for cover art are Amazon ( http://www.amazon.com ), MusicBrainz ( http://musicbrainz.org/ ) and Album Art Exchange ( http://www.albumartexchange.com/ ). Amazon has multiple sites for different countries (e.g. http://www.amazon.de, http://www.amazon.co.uk, http://www.amazon.co.jp etc) which each have different album art so it's worth looking around. MusicBrainz's pages are, at the time of writing, generally not indexed by Google so its results won't appear in Google Images. Finally, Album Art Exchange (AAX) has some excellent, high quality artwork although not the coverage of the other sites. The other disadvantage of using a manual tagger is that they specialise in saving to tags, so a separate, co-located file may be ignored. You'll just have to save this yourself if required by your music player. For any more than, say, ten albums you should consider using specialised software for album artwork retrieval. Not only is it faster, it is also likely to give you more options for artwork than you may find on your own initial manual searches. A number of automated cover art fetchers are available which automate both the finding of the art and its installation, saving both a separate file and embedded the artwork within the music files. Some of these are free (http://sourceforge.net/projects/album-art/), some commercial ( http://www.blisshq.com/album-art-finder.html) , some are semi-automated while others are fully automated. Thanks to sonshine90 for the image above.